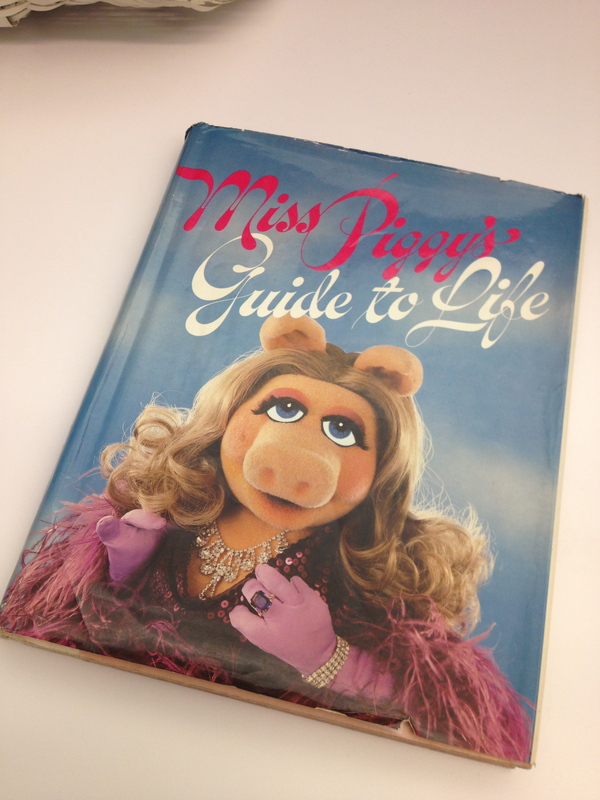 Originally published in 1981, and given to my Father one Christmas by my Aunt Lisa (the “vintage” to-from tag is still in it), I don’t remember a time without the essential Miss Piggy’s Guide to Life. (Not surprisingly, one of Jonathan Adler’s favorites as well.) 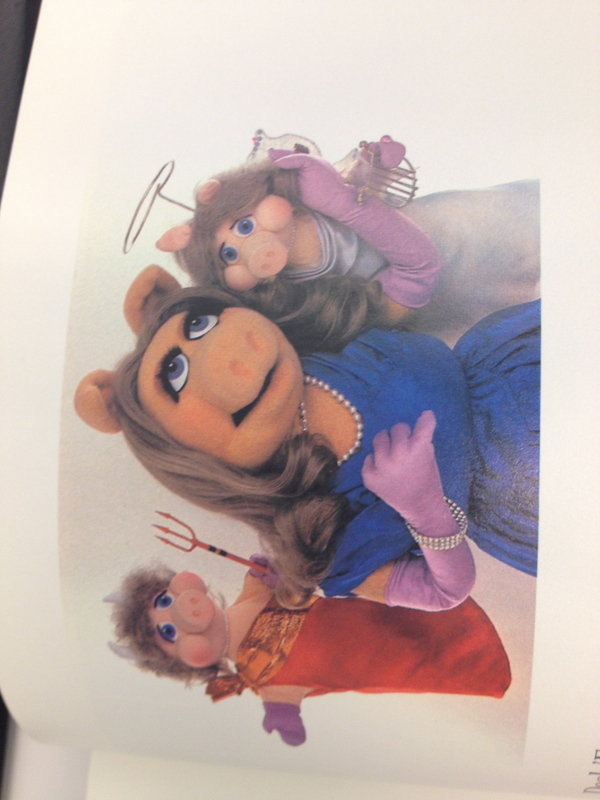 Being a child of the 80s/90s, I knew all about Jim Henson’s Muppets. 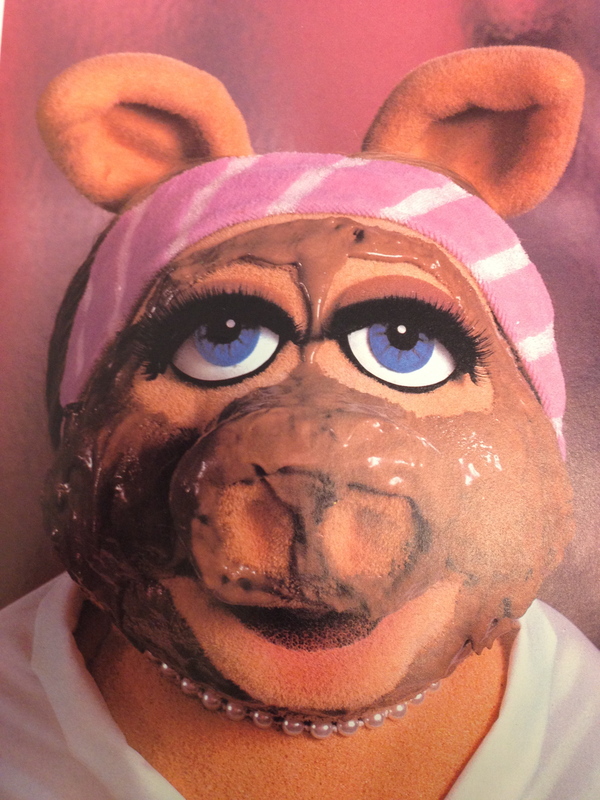 I watched reruns of the “Muppet Show” on TV, the “Muppet Babies” cartoon, and the wide array of films. As an adult, I have continued to enjoy their antics, guest stars, music videos and new movie(s). I have to say, though, as a vintage style lover, a woman and a person obsessed with both pigs and glamour, I LOVE this book! 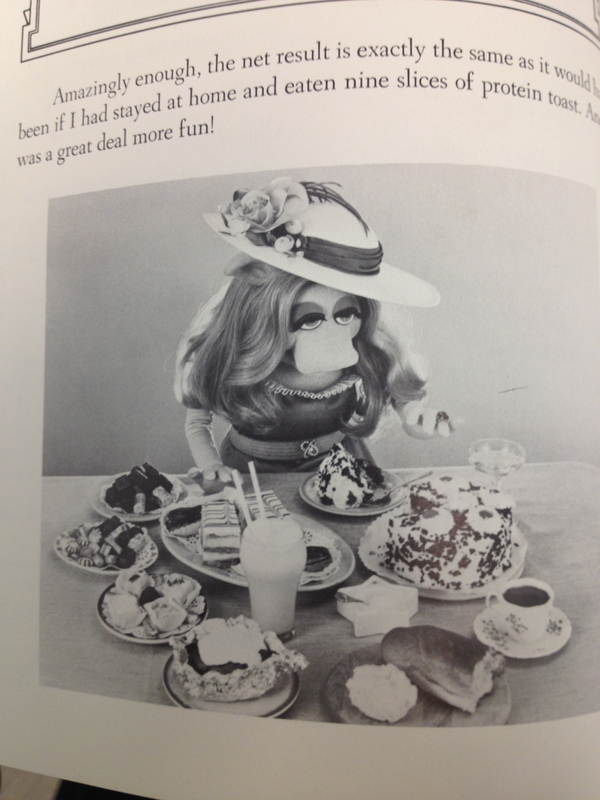 Along with “Kermie,” Miss Piggy is an enduring character in her own right. Her look, style, talent and attitude are all iconic, and within the gilded pages of this book, she offers a rare glimpse of her glorious lifestyle. Let’s take it one delightful chapter at a time! 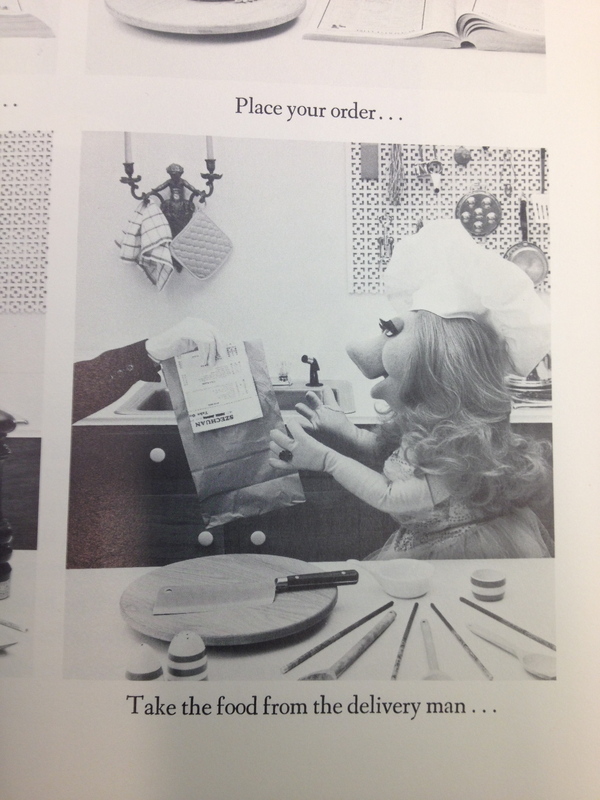 She even included a “Seven-Minute Amazing Face Daily Shape-Up” recipe! Directions include: wash face, dry with towel, look in mirrors (YEAH more than one), smile with approval, eat candy.” Best daily routine I’ve ever heard, amirite? I also wear my pearls during all my facials. 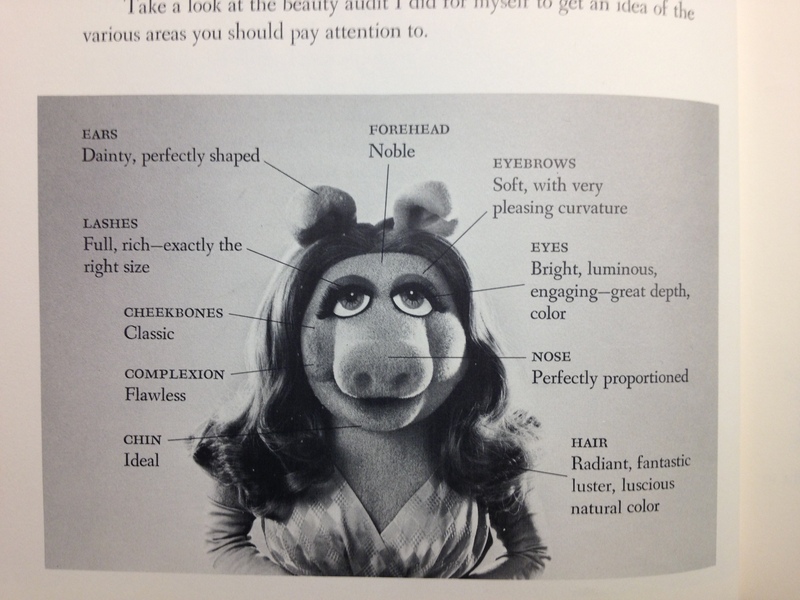 In the classy-est of styles, Miss Piggy includes this section to help people act and react in social settings. Being that she is so often finely attuned to the needs and wants of others, her suggestions are priceless, and notes “you could mistake his seeming coolness for a lack of interest and fail to notice the deep longing in his eyes and the flush of blazing romantic passion that slowly creeps over his green – well you get the idea.” I don’t know about you, but I wouldn’t want to miss anything that passionate, so pay attention, people! She even manages to make depression look glamorous! It’s like her sadness is intense, necessary and all-encompassing. Her suggestion to those suffering, or considering giving in to feeling “lousy,” is to create a “Blessing Census” made up of possible worse things that are not actually happening. Then you read those, and surely whatever it was that seemed like an issue will pale in comparison! Her additional tips include: eating, bubble-party (bath AND champagne! ), upbeat music, or sleeping the blues away and waking a-fresh! 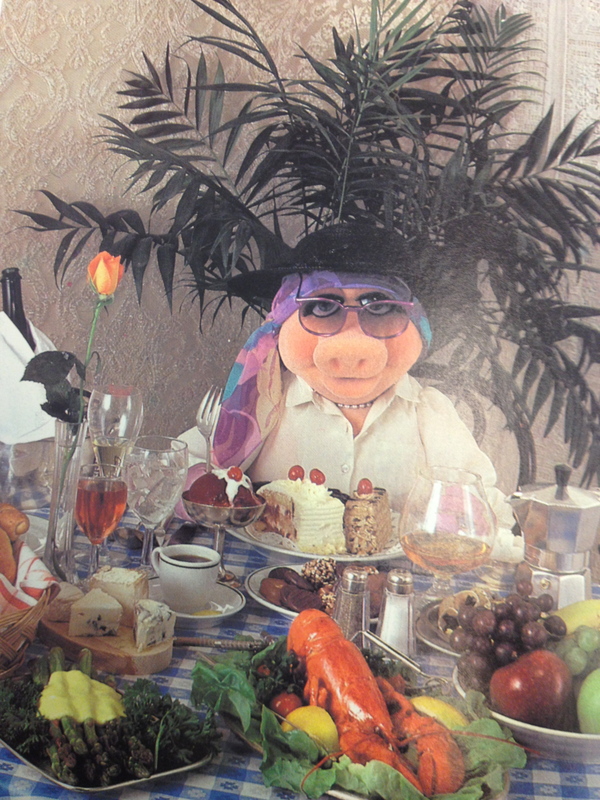 If you, like so many others, cannot help but partake in more high-calorie foods on occasion, Miss Piggy’s got your numbers, in calories that is! You’ll watch “those calories melt away, for the most part, in advance of the actual meal.” Genius. Some of the best diet advice is #3 in the “Some Final Diet Tips” list: “If you do not like it, do not eat it. No matter how good it is supposed to be for you, it is just taking up space for something you do like. You can eliminate a lot of calories on the very first day of your diet by entirely cutting out the things you hate.” No wonder this is a guide to life. That’s a damn solid tip. The title of this chapter is somewhat misleading, as it is not technically a guide to being a good hostess, so much as being an exceptional guest at parties thrown by others. Among her suggestions for table placement, making conversation and thank you notes, my favorite is the “breaking the ice” advice to get to know the host or hostess of the party by nosing around their bathroom cabinets. “By far the best way to do this is not by trying to ‘draw them out,’ but by taking advantage of the earliest opportunity to go up to their bathroom and examine the contents of their medicine cabinet.” AMAZING! I’m on it. There are also some practical ways to burn calories, including “The Call-Up” in which you pick up the phone receiver and dial a call. “The Gift Lift” in which you are handed a gift, and take it with passionate acceptance. Lastly, “The Sip-Up,” mostly a breakfast or tea-time exercise that involves delicately sipping the hot beverage of your choice. Burning calories doesn’t have to be a solitary activity, either! You can, indeed, burn calories by either greeting or rebuffing a friend or acquaintance on the street! 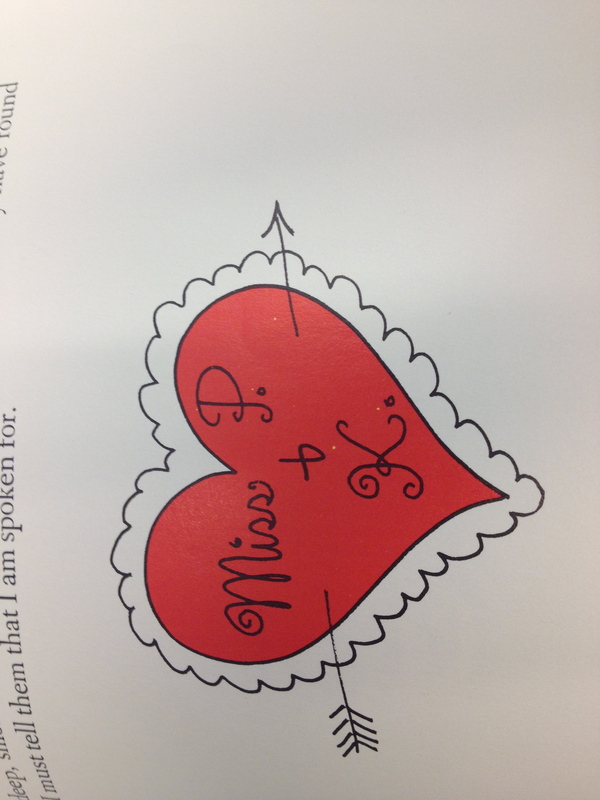 “If you wish to be truly chic – and who in her right mind does not – you must be willing to say Phooez! to fads. Classic fashion is forever.” Preach! Covered in this chapter are: Fashion Fundamentals, including “Les Basiques” (silk, satin lame, chocolate, lavendar gloves, etc. ), “Les Optionals (taffeta, sequins, frills and tasteful doodads), and “Les Boo-Boos” (polyester, ultrasuede, holes, spots and lint). She also insists on organizing things by color, not using wire hangers, and that you can’t ever have enough gowns. I completely agree. For the thin look: buy clothes two sizes too large. This is some solid advice, people. I hope you’re listening to this porcine sage. Obviously, someone with such a sensitive palette would include multiple Gwenyth-type recipies, possibly with a Julia Child-like inspired flair. Not so! Voila! Delicious meal, and you get to wear a chef’s hat! 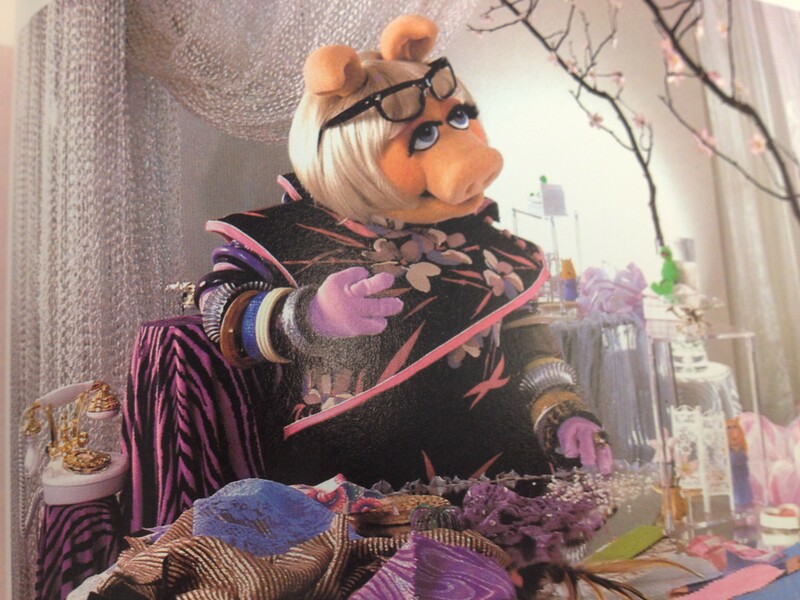 Miss Piggy doesn’t have the precious time to waste trying to look and feel elegant slaving over a hot stove, and for that matter, neither do you! 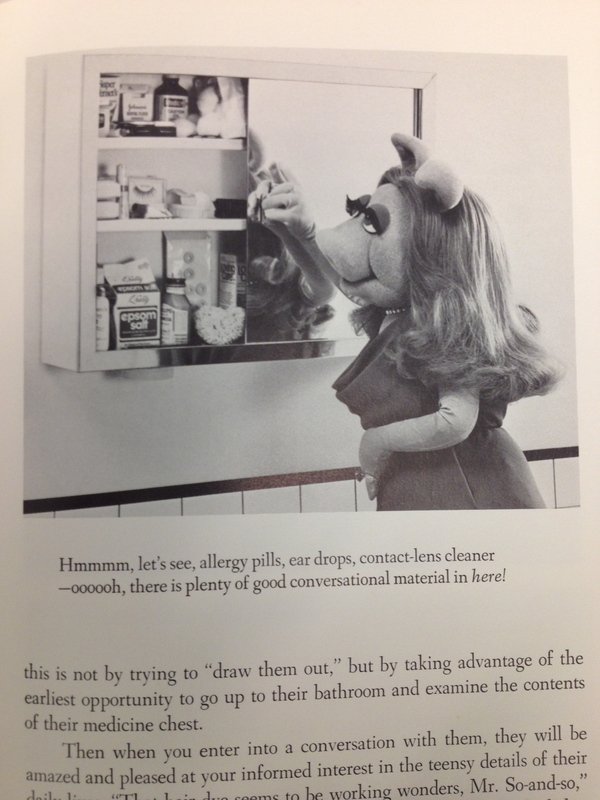 Given the eternal, unflinching love between Miss Piggy and Kermit the Frog, this chapter offers answers to some basic questions about romance, men and women, and how to best react in sensitive situations. Her shoulder (pig) angels are officially the cutest. “Is there a ‘cure’ for a broken heart? 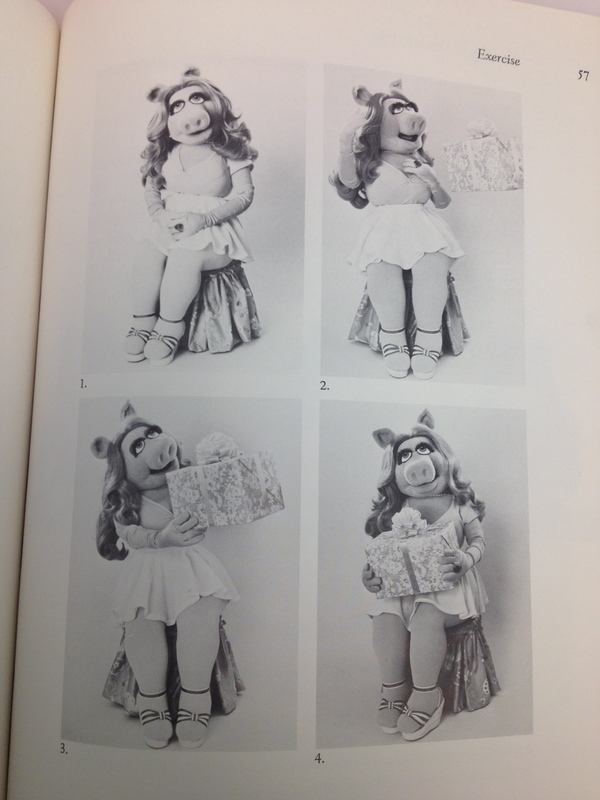 Much like Barbie, Miss Piggy has undertaken many careers in her lifetime, and has looked incredible doing each and every one! And a highly respected international food critic. For some reason, my garden this year produced a bumper crop of cabbages, and I don’t know what to do with them all. Are there any good cabbage recipes? My hinges squeak, and the sound is driving me bananas. Is there anything I can do? 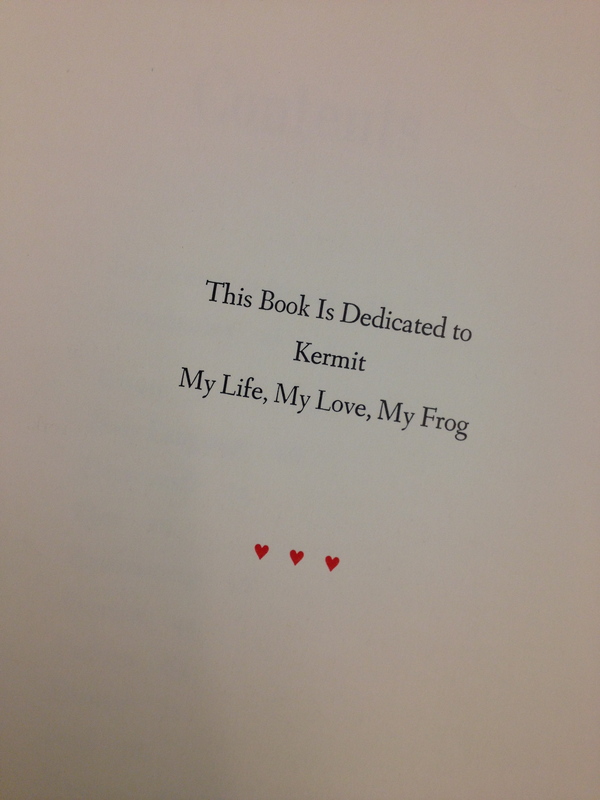 Thank goodness for such an inspiring frog. There are countless more absolutely delightful, ridiculous, amazing and hilarious moments in this gem of a book. Unfortunately, it’s out of print, but maybe we can get a petition going! 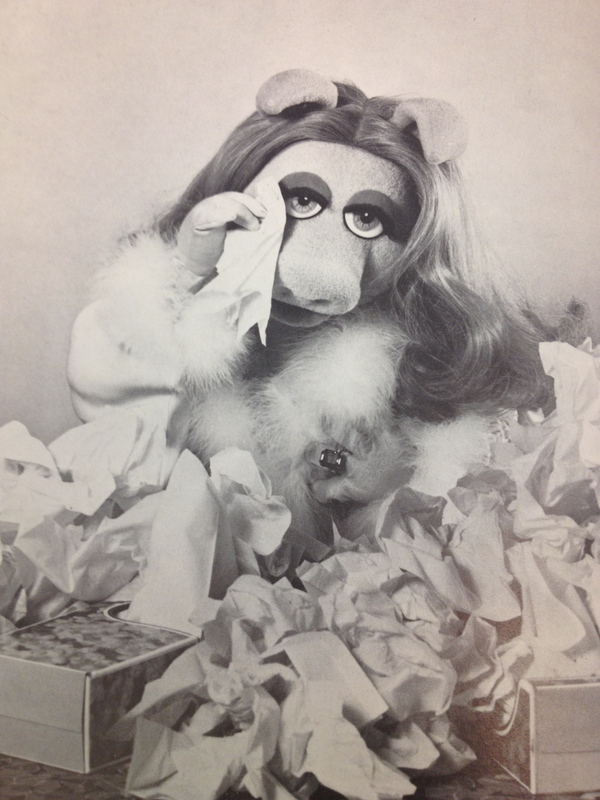 The Muppet Movie soundtrack was recently re-released, so don’t worry, there is hope! Anyone out there been lucky enough to read this book? 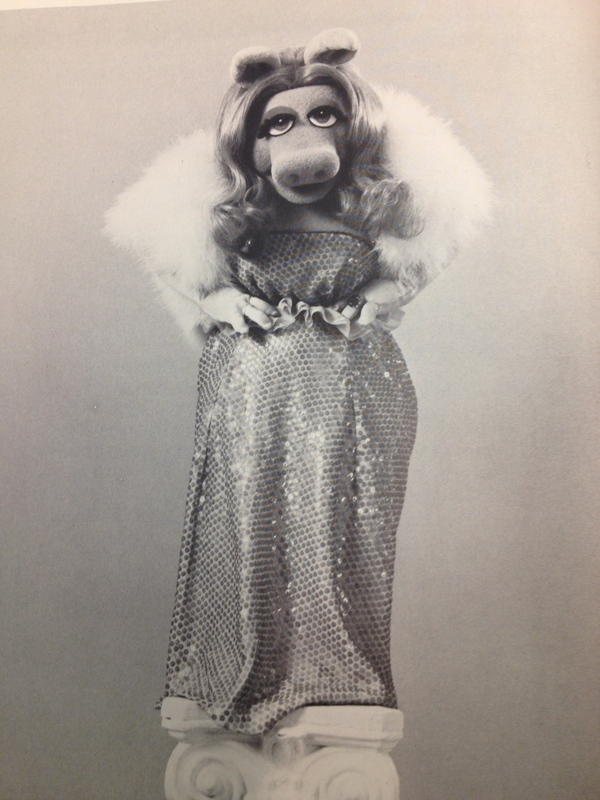 Who’s your favorite Muppet character, and why?? 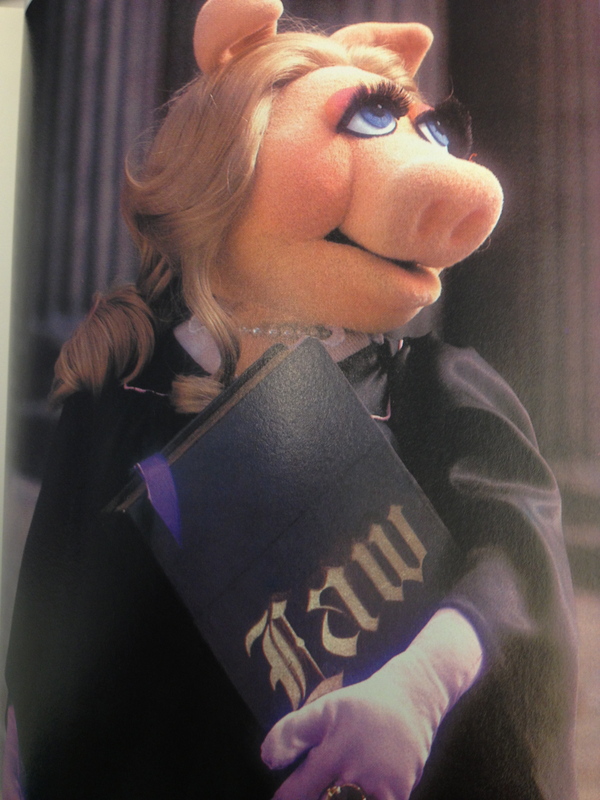 Any Halloween costume pics of you (or others) as Miss Piggy are welcome! Previous Post Vintage-Style Photo Shoot!